Latest Updated On 30.10.2018: BARC has Provided the List of Screened IN & OUT Candidates from CAT-II Examination……. Stay Connected With Us………. Bhabha Atomic Research Centre (BARC) will conduct a Written examination for recruitment to the posts of CAT- I & II Stipendiary Trainee 214 Posts against Advertisement No. 01/2018(R-I). Exam of these posts will be held in upcoming dates. Candidates who applied for this Exam must have a valid admit Card or Hall Ticket to enter in prescribed Exam Centre of this exam conducting by BARC. No Admit Card or Hall Ticket will reach home of Candidates by post, it can only be download in upcoming dates before exam for these following discipline/trade. The Exam Will be of 40 Question with 03 Marks. The Exam Time Duration of 01 Hours. The Negative Marking will be of 01 Marks Each Incorrect Answer. There will be negative marking for the written test. Stage 1- Preliminary Test: Questions will be on Mathematics, Science and General Awareness. Stage 2- Advanced test: Candidates clearing Preliminary Test will be eligible for Advanced Test (Questions will be from the respective trades). Stage 3- Skill Test: Only for those candidates who have cleared the Stage-2 test and will be on go/no-go basis. 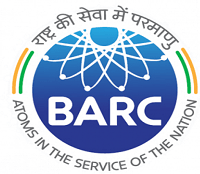 Candidates should have to keep in touch with Website of Bhabha Atomic Research Centre (BARC) for more updates regarding information about Exam and its Admit Card. Hello sir security guard ka written exam ki date kab hai..or how many candidates selected for written exam ..? since 150+ days gone waiting for examination still not yet announced whats the problem with this people? What is exam date for stipendery trainee cat-1 ? Is it been conducted? When I login to portal i notice that my application is still under process.. I have the same problem its showing under process. 5 months have passed since the registration but there is no notice of any kind. When realized admit card for security guard please tell me sir .. I m also waiting for this…..apka exam kis date me hua tha?? Vilas i am also waiting for that admit card. Still the admit cards are not released for the 1.8 stipendary trainee exam. Do not panic u will receive an email before the exam . In that email they will mention the date and commencement of the exam. Sir barc stipendiary trainee cat-I ka admit card nhi aya h kya? Sir Cat – 1 ka admit card kab aayega…..! Sir can i get to know about the category-1 (diploma trainee) exam date.